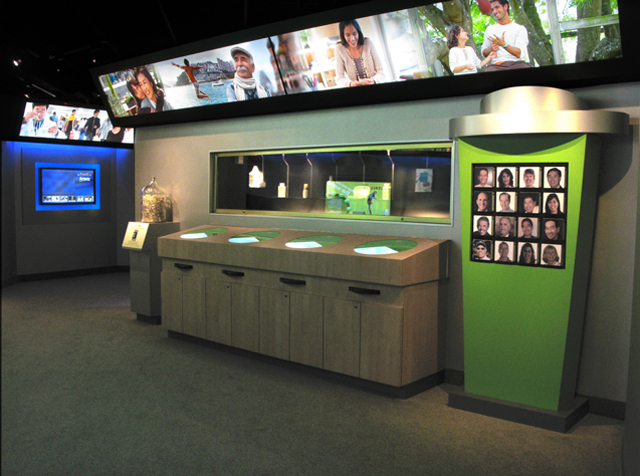 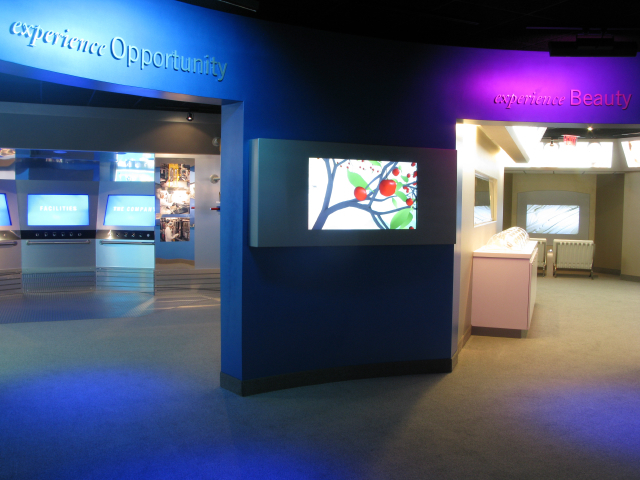 The Amway World Headquarters experience was designed as a major orientation to the company for visitors worldwide. 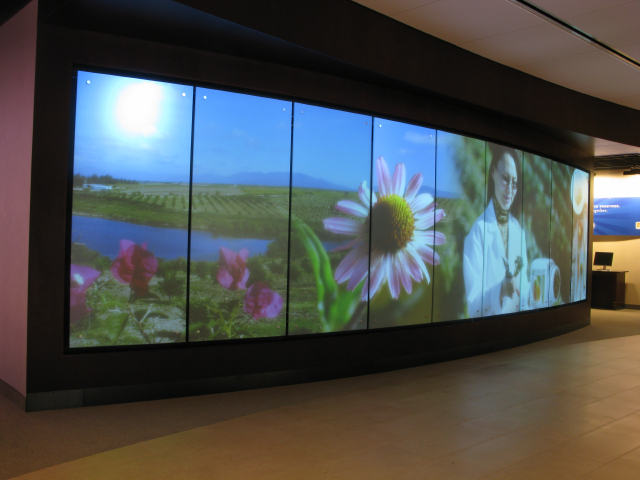 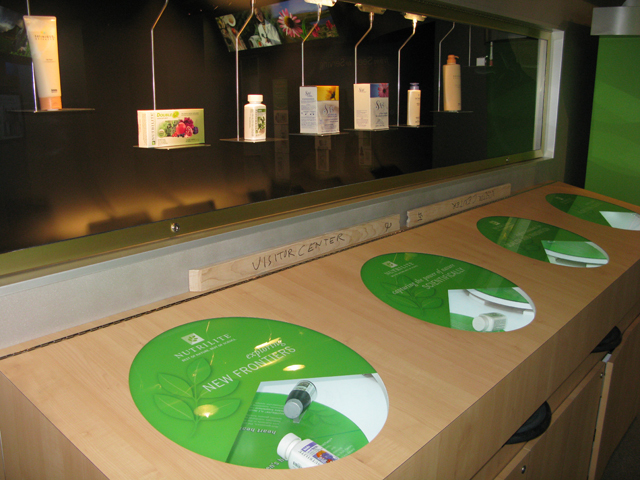 Using new media and interactive technology, this project involved extensive collaboration with marketing professionals to reflect the Amway brand. 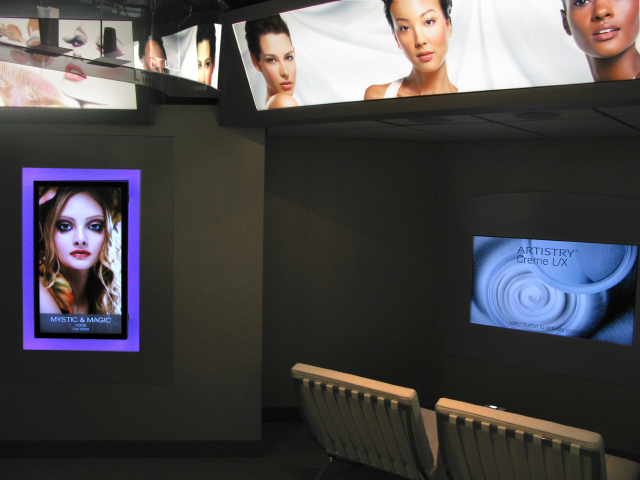 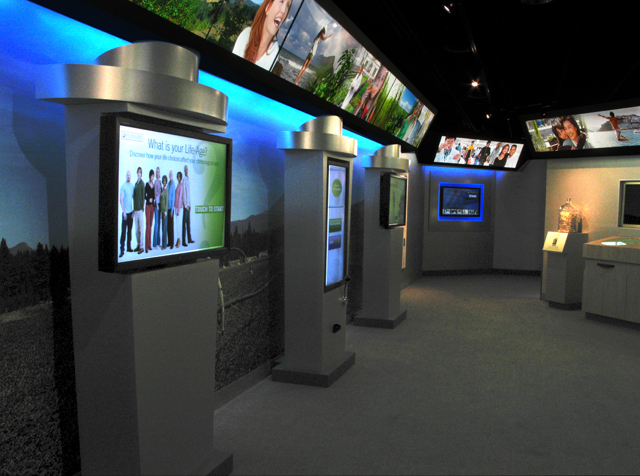 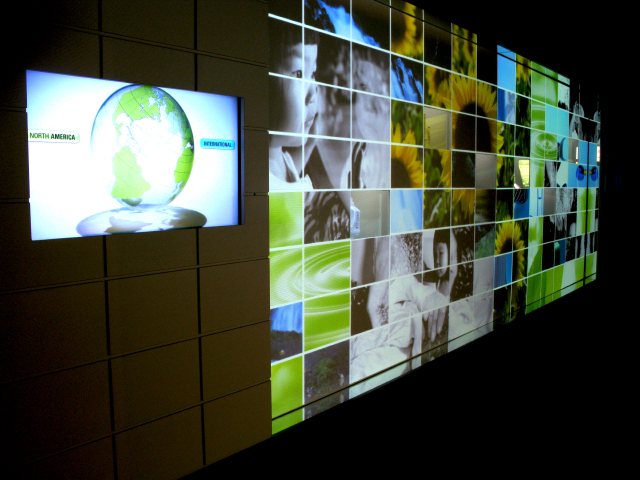 Technology includes 18 multi-touch screens, two large-scale multi-projector walls, combined with product displays and brand graphics. 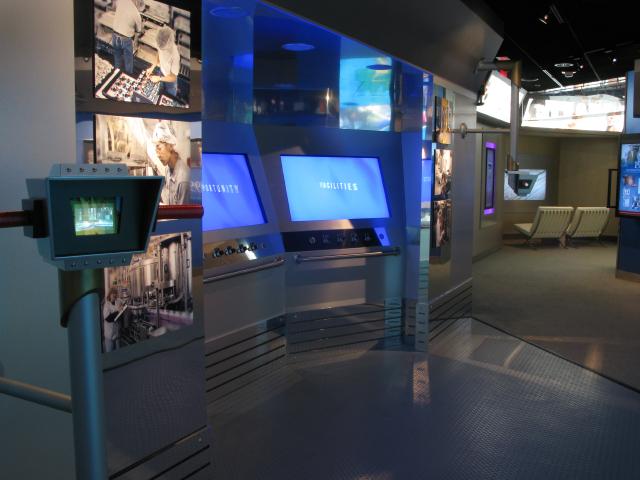 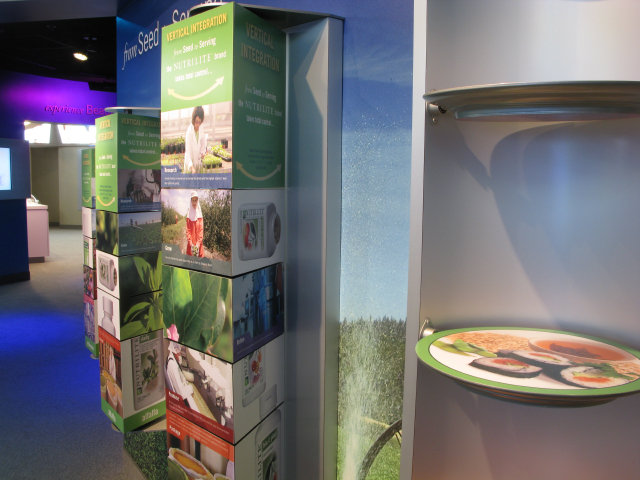 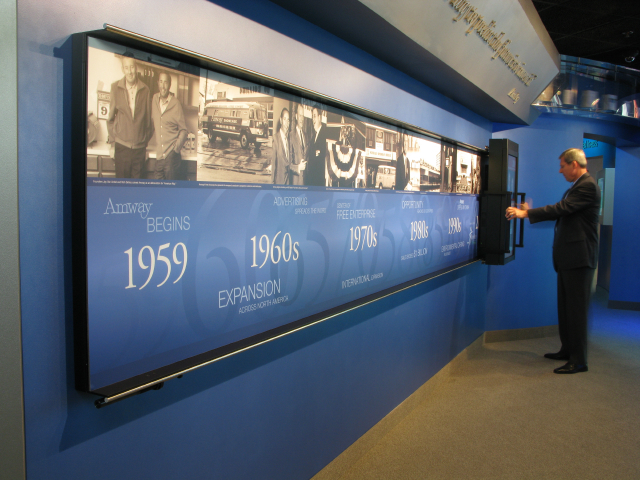 This newly renovated facility incorporated an existing conveyor belt that moves products continuously from one exhibit gallery to the next, showcasing over 300 items manufactured and distributed by Amway.